HIS office is a small room with a great view of the capital city’s central business district. Within its four corners, MCA deputy president Datuk Seri Dr Wee Ka Siong is racing against time to plan the road ahead for the embattled party. He is now MCA’s sole Member of Parliament after winning the Ayer Hitam seat in Johor. The party also won the Titi Tinggi and Cheka state seats. MCA contested 39 parliamentary seats and 90 state seats in the May 9 polls. The defeat has been bruising and Dr Wee has spent the last three weeks charting the road ahead for the 69-year-old party. “Changing government is not a nightmare, not an impossible thing and can be done overnight,” says 50-year-old Dr Wee in his first media interview after the polls. He adds that all is not lost following the party’s worst outing, and said MCA is ready to pick up from where it fell, and evolve as a completely reformed and independent entity. “Our party is now our priority and not the coalition like before. From his office on the 9th floor of the MCA headquarters in Wisma MCA, Dr Wee says his major task is to put up a team that can move forward to rebuild the party. “I have been encouraged by people to take up the challenge to provide the leadership, and I am duty-bound to do so,” he said during an interview. Party president Datuk Seri Liow Tiong Lai announced that he would not seek re-election at the party polls this November, and Dr Wee as his deputy and sole survivor of GE14 is widely seen as his successor. Dr Wee, a civil engineer who joined MCA in 1992, rose to become the party’s Youth chief in 2008 and deputy president in 2013. MCA is the second largest component party of Barisan Nasional which lost its hold on the government for the first time since Independence in 1957 following the crushing defeat in GE14. As one of three MCA ministers in the last four years, the former Minister in the Prime Minister’s Department explains that the party, bound by the Barisan Nasional spirit, seldom spoke openly on what transpired in the Cabinet. This, unfortunately, was perceived by people that MCA had not been able to speak up for them or do anything for them. Dr Wee said the perception had been compounded by negative statements on MCA and the Chinese community made by other Barisan component party leaders. Statements which openly ridiculed the Chinese community and renowned figures like Robert Kuok and even MCA as a party in the run-up to the polls were certainly damaging. The damage control also did not help at all. “Saying that such issues had been voiced out or dealt with in the Cabinet were grossly insufficient. Dr Wee conceded that the Barisan spirit had also turned into a form of constraint on MCA and a baggage most of the time in a modern society where people demand openness and action against issues deemed unfair to the community. At times, he adds, this “behind closed doors diplomacy” was done with the intention of not wanting to prolong an ugly episode and also to preserve harmony in a multiracial society. Going forward, Dr Wee says the role of the party is how to be an effective Opposition and provide the check and balance in the new regime. He says he believes this is what the people want from the party and what the party can do for them now that it is in the Opposition. Dr Wee says he will also be going to the ground to identify the party’s weaknesses and drawbacks that contributed to the defeat of the party. He points out that these constitute important feedback in the party’s bid to reform itself and move forward. The MCA central committee – the party’s highest decision-making body – has appointed him to helm the party’s reform committee following the GE14 defeat. Dr Wee envisages a team of young and talented MCA leaders that can take on the new role of an effective Opposition in a new set-up. The party, he adds, can provide a platform for them. He says universal values, public policies and the party’s core struggle will remain the foundation. Dr Wee also says the party will be rebuilt on all levels. For instance, he says the party will be preparing for local elections (councillors) as the Pakatan Harapan Government has been pushing for it prior to GE14. On Chinese education and Chinese new villages, of which MCA has been the guardian since its inception in 1949, Dr Wee says he hopes the new Government can do a better job in taking care of the two institutions close to the hearts of the Chinese. He is willing and ready to provide help and cooperate with the new Government in the two areas upon their request. 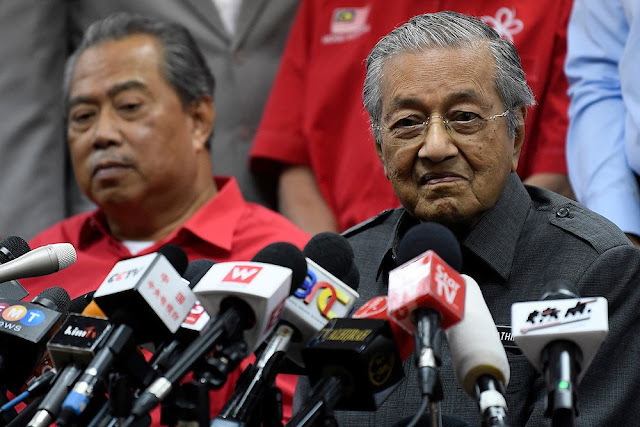 On the scrapping of two mega projects like the High Speed Rail between Kuala Lumpur and Singapore (HSR) and MRT 3 announced by Prime Minister Tun Dr Mahathir Mohamad just 22 days after Pakatan Harapan took over Putrajaya, Dr Wee feels the decisions needed in-depth study. On the merits of HSR, he notes that Kuala Lumpur and Singapore are the two busiest Asean cities, and boosting their connectivity would be a step in the right direction and for mutual economic growth and benefits. He points out that there are more than 30,000 flights between the two cities a year. The HSR was scheduled to be completed in 2026, and it would have been just a 90-minute ride between the two cities. The 350km track, which was to start in Bandar Malaysia in Kuala Lumpur and end in Jurong East, Singapore, would have passed through stations in Putrajaya, Seremban, Melaka, Muar, Batu Pahat and Iskandar Puteri. On the MRT 3, Dr Wee said the people are enjoying the convenience of MRT 1 and looking forward to MRT 2 which is under construction. Like any other big city in the world, Dr Wee said, MRTs are the desired mode of transportation. He hopes the Pakatan Harapan Government can reconsider the scrapping of MRT 3 for the sake of the eight million Kuala Lumpur folk and the development of the capital city. CENBET - Centre For A Better Tomorrow says the cancellation of the Kuala Lumpur-Singapore High-Speed Rail should have been announced after the cabinet's approval in accordance to due process. – The Malaysian Insight pic by Najjua Zulkefli, June 1, 2018. THE cancellation of the Kuala Lumpur-Singapore High-Speed Rail project should have been made by the cabinet prior to its announcement as a matter of good governance, said the Centre For A Better Tomorrow (Cenbet). The think tank said while it supported the new government's efforts to review potentially wasteful projects and lopsided deals, such decisions should have followed due process. "If decision on a RM110 billion mega-project can be made without stringent due process, we are worried that this may set a bad precedent in deciding other government projects. "Such decision undermines institutional integrity which should have never been compromised for political expediency," said Cennbet co-president Gan Ping Sieu in a statement today. Based on news reports, Dr Mahathir Mohamad's May 28 announcement to call off the project was made after chairing his party's supreme council meeting and not in his capacity as prime minister announcing a Cabinet decision. Transport Minister Anthony Loke was also reportedly said that the matter was not discussed in a cabinet meeting prior to the Prime Minister's May 28 announcement that the project would be shelved. "Rightfully, cancelling a project of such magnitude, involving transnational interests, ought to have gone through a more structured decision-making process. This includes preparing a cabinet paper and getting feedback from all relevant agencies and state governments," explained Gan. He pointed out that the federal constitution was clear that the cabinet is the highest executive body and the manner in which the announcement was made contradicted the spirit of accountability and transparency pledged by the new federal government. "The eventual May 30 cabinet decision can be perceived as an afterthought and clearly without going through sufficient consultation," said Gan. He added that institutional decision-making process was an integral part of good governance, which Cenbet promotes. "All major national decisions must be made by the cabinet after due process and consultation to prevent abuse of power and leakages," he added. – Bernama, June 1, 2018. In the future, the Malaysian government will certainly welcome investment by foreign-funded enterprises that abide by the local laws, but will differ from practices in the past decades in terms of bidding and contract talks. Most importantly, all parties should believe in the principle that business is business, and win-win cooperation is the key to the issue. Malaysia will definitely let investors enjoy the dividends of its reform and development. Looking East policy with a twist to China ?